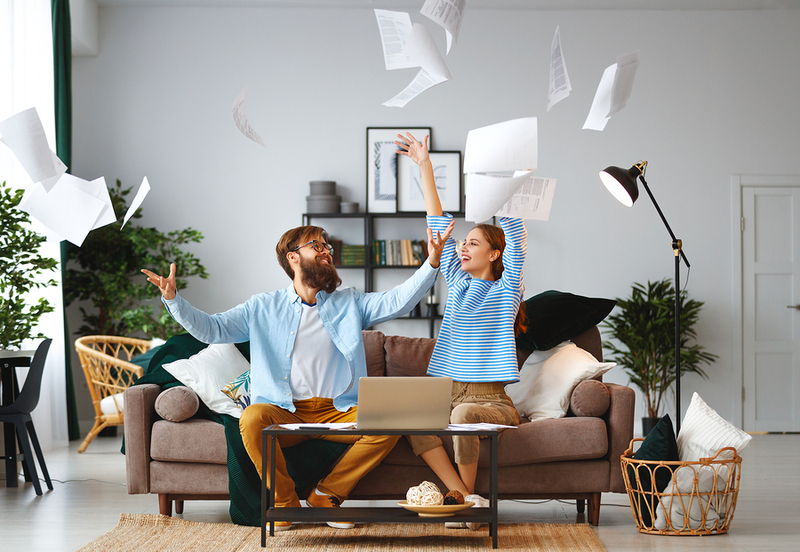 The Home Loan Superpower Every Mum and Dad NeedsThese homeloan “super” hacks will have you paying off your home loan sooner (and with less stress). I enjoy paying my home loan! Said NO ONE EVER. A somewhat superpower to financial freedom, so you don’t have to worry about changing interest rates. No, this isn’t a Marvel superhero character for borrowing, but maybe it’s close. Athena is a home loan company on a mission to help Australians pay off their home loan faster. Like, Thor fast. The superpower of Athena is that this company has actually listened to customer demand for a great rate that stays great. They have even introduced a pricing promise to never charge existing customers more than new customers on a like-for-like loan. Athena Co-founder and CEO, Nathan Walsh told of how customers wanted to pay off their home loan faster, and this is exactly what Athena wanted to help them do. “Our goal is to get customers a great home loan, and then help them get rid of it. After all, time is money. The shorter your loan, the less you pay,” he said. We know, we know. You’re probably thinking: Are these guys high on Vibranium? (It’s that fictional metal in Marvel movies). But as dorky as it sounds, maybe they are – and we are all for it. Save the planet, save our mortgages! With Athena’s mission to help customers pay off their home loan faster, the team has compiled home loan hacks to help make the path to home ownership quicker, cheaper and less stressful. Here are Athena’s top “Superpower” hacks for paying off a home loan. Stay great rates: Athena gives customers consistently low rates from day-one to day-none and passes on to existing customers the same rates available to new customers on a like-for-like loan. Fast-track savings: Athena encourages borrowers to sustain the repayments from their prior lender. The extra principal repayments can deliver significant savings and cut years off the loan. Refinance without the re-start: Unlike other lenders, Athena doesn’t force you back to a 30-year loan term when you refinance. You can customise your loan and flexibly choose your loan term. F*** fees: Athena won’t charge you application, account or exit fees. They’ll only pass on the minimal third-party costs to originate your loan like valuations and legal fees. Fee-free re-draw account: Athena’s redraw account offers 100 percent interest offset and electronic access, without the expensive package fees and high interest rates of legacy lenders. Be more regular: By moving from monthly to fortnightly or weekly repayments, customers will reduce their loan amount quicker, and make big savings. Nathan Walsh said Aussie families were switching from typical big bank rates and using Athena’s home loan hacks to manage their loan, saving tens of thousands of dollars and cutting years off the life of the loan. “Many customers are surprised at the scale of the savings potential, and what it can mean for them financially after years of being loyal bank customers,” he said. So let’s talk about taking charge of your financial freedom and creating some superpower of your own. Can it be done? You just need to take a moment for a quick home loan health check. A Home Loan Health Check with Athena will help you and your family confirm your current interest rate and then see if there are bigger, more powerful savings opportunities out there. You can then really stretch your powers with Athena by using their cutting-edge technology for refinancing. Just apply online through their intuitive mobile-friendly experience, and chat with a real Australian home loan expert seven days a week. Athena has no fees, no branches, no brokers and no overheads and has a 3.59% variable rate / comparison rate 3.57%. It offers a genuine alternative to homeowners looking for a change with their current home loan. It’s a superpower to rival all others. The power of financial freedom sooner than ever before. Contact Athena to get started, try the Home Loan Health Check and get super amazing rates TODAY!